Good afternoon. How do you do? 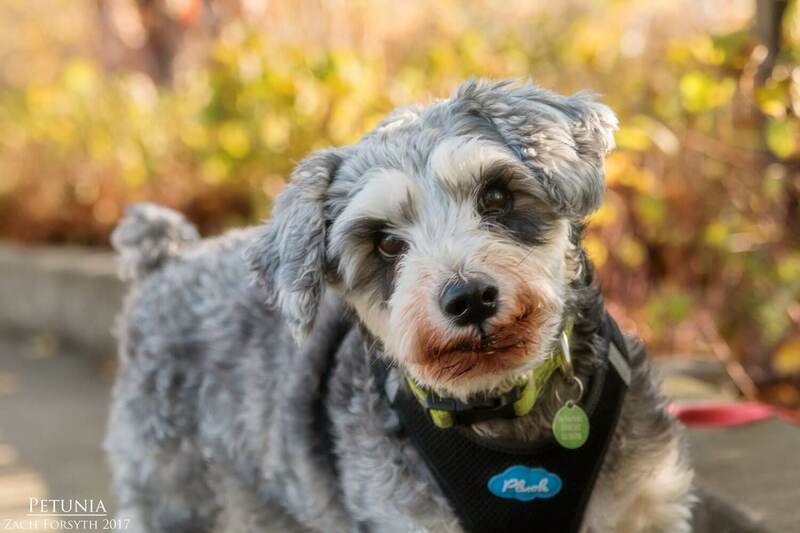 My name is Miss Petunia and I am a 8 year old Schnauzer mix. Though I look part teddy bear, I assure you I am a dog through and through. But I still do appreciate the cuddles and belly rubs just the same as those stuffed animals. I am a rather kind and sweet gal whose aim is to make the world more beautiful by planting Petunias all over. After they grow and bloom, I would just love to take you on walk to show you all the beauties of my garden. I just adore my afternoon walks while meeting new people, cats, and other dog friends along the way. I sometimes still love to play with my toys after our afternoon tea. Then its back to the snuggles and a nice little nap. I am always smiling and oh so happy to be around my people. I have such a big heart and I am ready to share it with you! Fill out an application today, so our friendship can start blooming. I come to you spayed, vaccinated, and micro-chipped with an adoption fee of $350.